For many, cannabis is seen strictly as medicine. But it’s also becoming a preferred social alternative to alcohol and other “party” drugs. More and more people are having friends over for a casual smoke session rather than a wild night of bar hopping. The group smoke circle is a sacred part of being a weed consumer. 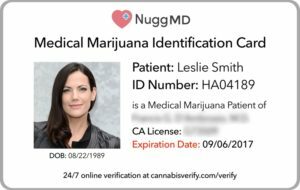 In states like California recreational use will soon be up and running, making it easier to have cannabis sessions with all your friends, not just those who are mmj patients. Want to host a group cannabis session at your place? 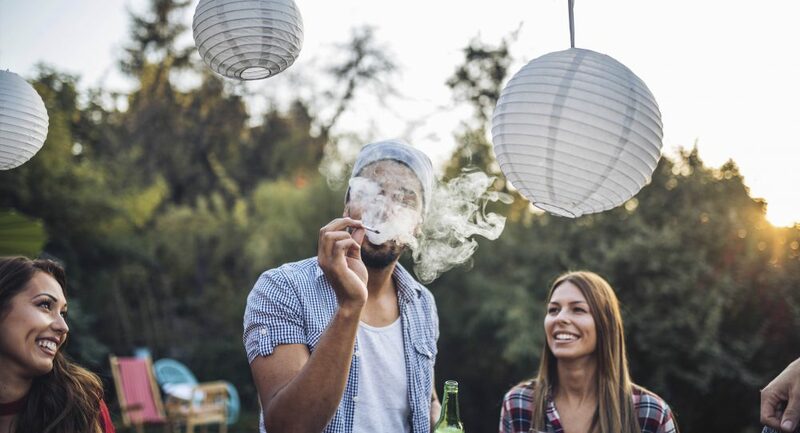 Make sure your smoke session is inviting, fun and safe by following these tips. Nothing ruins a smoke session faster than the cops showing up. Legally speaking, California’s recreational laws aren’t fully in place just yet. So until then, be sure everyone at your pot party has a legal medical marijuana recommendation and remind them to bring it just in case. If they don’t, tell them to get one from NuggMD for only $39! Your guests can even get it at your party (depending on the time) and will be ready to participate in minutes. Remember: in the eyes of the law cannabis consumption is just like drinking alcohol, so driving after a smoke session is a bad idea. This isn’t an absolute requirement, but decorations can set the mood and enhance your guests’ experience. Consuming cannabis heightens your senses, so having items around the room that sound, feel, taste, smell and look good will make everyone have a better time. You don’t have to spend a ton of money decking out your living room. Get your creative juices flowing and use items around your home to set the mood for your cannabis session. Break out the fun ashtrays, lighters, and your favorite personal glass pieces you don’t mind others using. If you have throw pillows or bean bags, set them around the room so everyone can sit comfortably. Light aromatic candles that smell amazing. Have Christmas lights stored away? Bring them out of your closet and plug them in for mellow mood lighting! Sharing is caring! Ask your guests to bring a cannabis product they can share as a group: flower, concentrates, tinctures, a new topical, or edibles they love. Remember, not everyone feels comfortable smoking so ask them to bring a wide range of products to ensure everyone’s comfortable and involved. Edibles, drinkables, and tinctures are easiest and won’t leave any odor if you’re worried about the law. Looking for great shareable products? These will help you score points with the crowd. 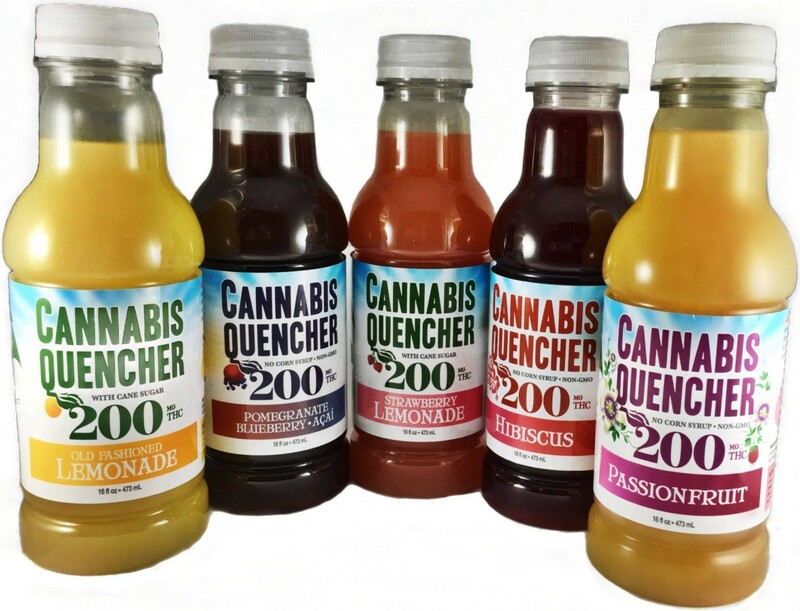 Try VCC’s popular Cannabis Quencher, infused lemonades and juices available in 100 or 200 milligram THC doses. They’re great for those just getting their cannabis sea legs to try a literally refreshing mmj product. Keep in mind that infused drinks can start to take effect in a few minutes compared to edibles, which can take an hour or more. Choose from a variety of flavors including grape, mango, hibiscus, passion fruit, lemonade, and pomegranate-blueberry açaí. They come in standard plastic bottles so pass out some red plastic cups and start pouring. Because of their potency two 200mg bottles, around $25 each, should go a long way for a group of ten, depending on individual tolerance. 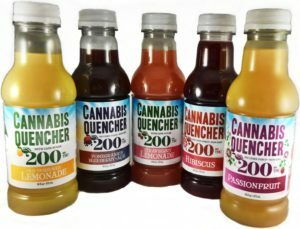 But if you’re worried about accurate dosing, there are Cannabis Quencher Sips in mini 25mg bottles. You should also request one of their CBD:THC drinks (40:40, 5:20, 10:10, 10:1) just in case someone overdoes it. If you’re looking for fun shareable edible options, try To Whom It May’s stylish, gourmet mmj chocolate boxes. The brand’s large Party Palette will surely make you the host or hostess of the year. This impressive box of sweets will attract every guest, from the experienced cannabis consumer to the complete newbie. The Party Palette includes “one column each of our four flavors, and each flavor with a piece of each dose – 2½ mg / 5 mg / 15 mg / 45 mg – and eight non-medicated chocolates.” Beware, at $230 the palette is pricey so you may want to save it for a special occasion or have a group of guests split it. Looking for a cheaper shareable alternative? 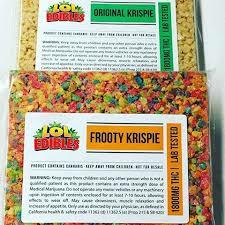 Try LOL Edibles’ giant medicated krispie bars. Weighing in at a whopping 1800mg for only $50, this behemoth comes in three different flavors: Chocolate (Cocoa Krispies), Frooty (Fruity Pebbles) and Original (Rice Krispies). Be sure to have a ruler, large knife or a pizza cutter handy to divide it equally. Unlike the more popular 1,000mg Korova Black Bars that are about the same price, these edibles aren’t as potent, an advantage when everyone’s trying different cannabis incarnations at once. The only problem is that these might be a little hard to find, so let Nugg’s cannabis delivery marketplace locate the nearest to you. You’ll be the coolest one in the room when you whip out a pack of Island pre-rolls. Inspired by 70s coastal California culture, these ready-made joints are not only beautifully branded but made with high quality, small batch cannabis broken down by hand. Plus their papers are made from unrefined hemp so you can be sure what you’re inhaling is natural and light. 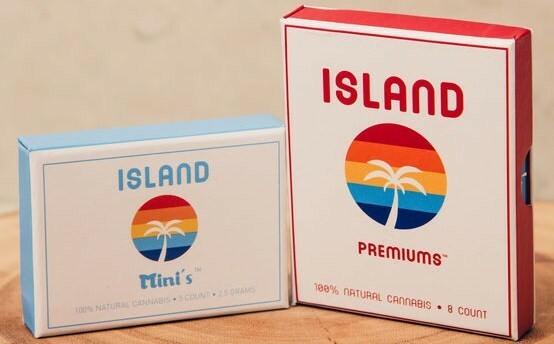 Their Island Mini’s are perfect for a party with five mini-joints in each pack for $30. Or go big with Island Premiums with eight full-sized joints, which look like cigarettes without the tobacco, for $40. 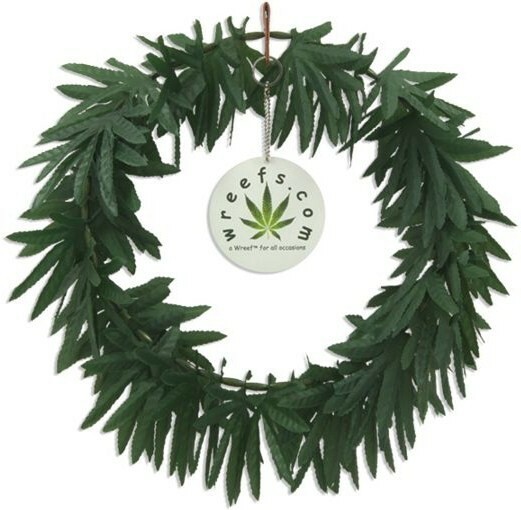 While it’s important to provide mmj options for friends who can’t or don’t want to smoke, no circle is complete without at least one communal joint, blunt, bong, pipe or vape passed around the room. Set some different flower options out with a grinder so your guests can refill as necessary. If you want to stay germ-free but still share, keeping your vape and bowl clean is as easy as having some alcohol wipes nearby. Encourage more social interaction by investing in a share-friendly vaporizer. You can go old school with a Vapor Brother’s Standard vaporizerand whip ($215). These vapes allow for easy sharing by using a whip (a mouthpiece attached to a plastic or rubber hose) that’s easily passed around a smoke circle. Simply clean the whip with wipes between passes to stay germ-free. 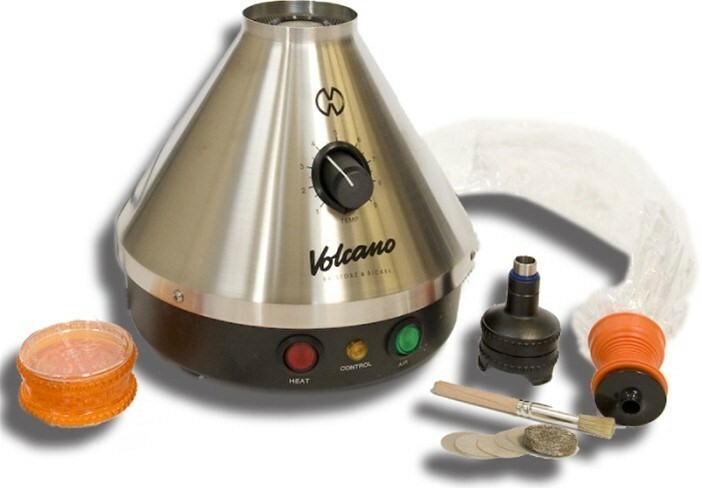 Or try investing in something a little more modern with a Volcano Vaporizer ($479). Volcanos vaporize cannabis flower into a large plastic bag with a mouthpiece. These vaporizers are really excellent for group scenarios because you can inhale as much as you want, cap it, and pass the bag along or save what’s left for a little later. 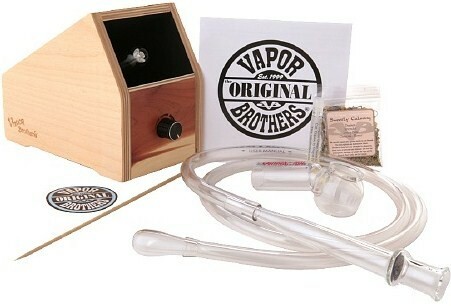 While it seems expensive, it’ll be the last vaporizer you ever buy as the hits are big and clean. After all, you can’t put a price on your guests’ health. If you prefer joints but the thought of soggy joints grosses you out, you aren’t alone. There are ways to share cannabis without sharing as many of germs. A soggy joint end is the worst. Avoid this mishap by making sure you use a filter when rolling. If you want to really avoid saliva build up, invest in a glass mouthpiece like Cypress Hill’s Phuncky Feel Tips. These glass tips are placed into the joint paper as you roll and provide a nice, glass mouthpiece at the end. The best part? They cost less than $10 a piece. No party is complete without a soundtrack. 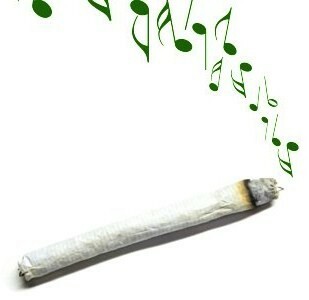 Remember, just because you’re consuming cannabis doesn’t mean every song has to reference weed. Be sure to include an eclectic variety of genres and artists in your playlists so no one gets bored. Text your invitees and ask them for song suggestions to include. We suggest starting with more mellow music like downtempo, trip-hop or jazz then upping the bpm as the party becomes more lively. 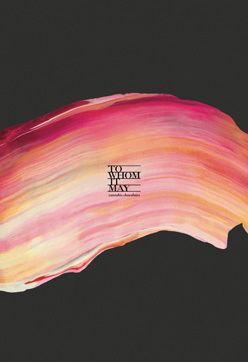 Don’t have time to curate your own playlist? No problem. Choose from several online services like Pandora, Spotify, SoundCloud, MixCloud and even YouTube that basically do the work for you. Whatever you do, don’t forget the snacks! Nothing ends a cannabis session quicker than an onset of the munchies and no snacks to satiate them. The only thing worse than having nothing to nibble on is only having all-medicated snacks. Make sure you provide a nice spread with healthy (veggie plate, dried fruits, trail mix) and junk food (chips, candies, cookies) options to please every palette. Cottonmouth is real thing, just like the munchies. Provide some non-medicated, non-alcohol drink options to ease dry throats and help wash down snacks. Cannabis pairs well with coffee and delicious fresh juices, especially mango as it’s rumored to enhance cannabis’ effects. Ask your friends to pitch in by bringing a few snacks and drinks too! This isn’t a cannabis session requirement, but it’s definitely an awesome addition! Playing games are great ways to get your guests to become present and engaged with each other rather than scrolling on their phones. 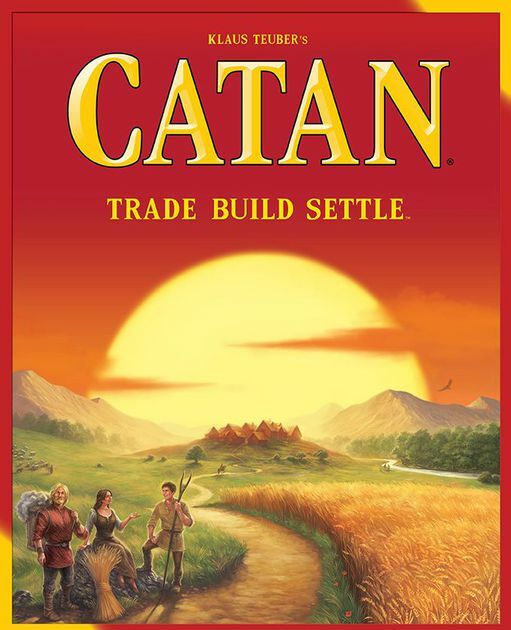 Try an involved, strategic classic like Settlers of Catan (a Nugg HQ fav) or something a little simpler like Sorry! or Clue. Maybe something newer and funnier is more up your alley? Try Cards Against Humanity or Heads Up for a looser atmosphere. 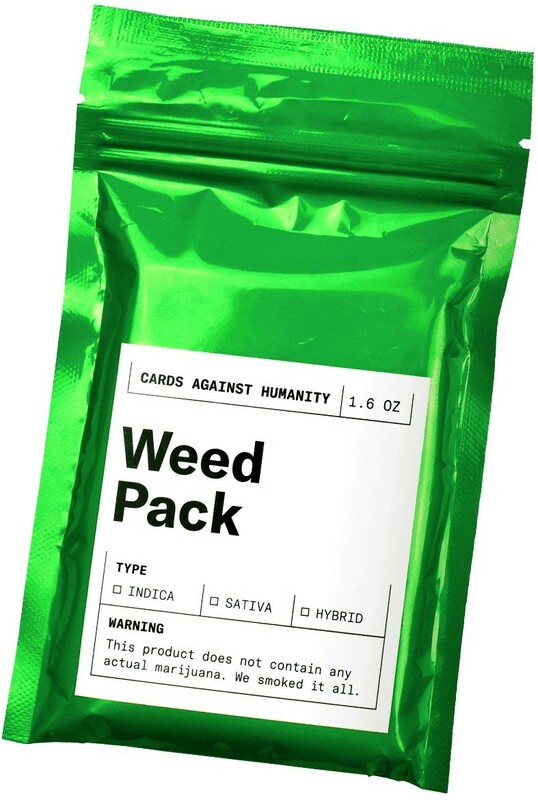 Should you want to be the real MVP of hosting a cannabis session, buy the Cards Against Humanity Weed Pack add-on for $5. This pack comes with 30 new weed-related game cards, and all profits go to the Marijuana Policy Project, an organization that fights for cannabis to be regulated and taxed like alcohol across the country. Stick with these tips and you’ll be set to host your own cannabis session. Just remember to consume wisely and encourage your guests to do the same. If you have questions about which cannabis products are best to entertain guests, ask Nugg’s Cannabis Concierge, our live chat service that offers free advice on the best products in your area. So this is what we call pot buddies! 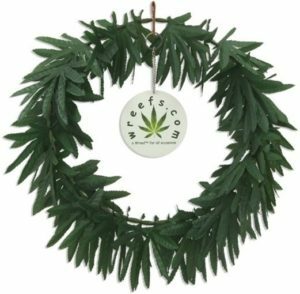 Thanks for giving us a great list of cannabis supplies and extensions! I love the idea! Great post!